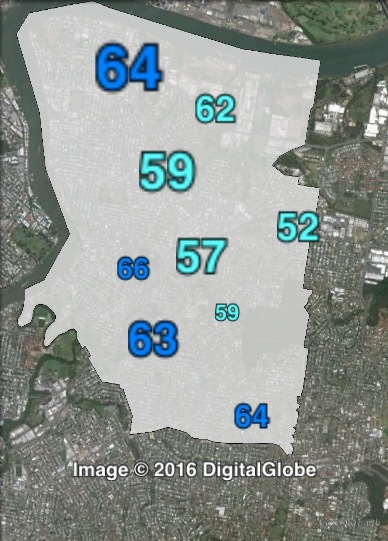 Eastern Brisbane. Morningside covers the suburbs of Balmoral, Bulimba, Camp Hills, Cannon Hill and Norman Park, all suburbs south of the Brisbane river to the east of the city centre. Map of Morningside’s 2012 and 2016 boundaries. 2012 boundaries marked as red lines, 2016 boundaries marked as white area. Click to enlarge. Minor changes to Morningside’s eastern boundary with Doboy. Labor’s Sharon Humphreys held Morningside from 1994 to 2004. Shayne Sutton won Morningside in 2004 despite a 23% swing away from Labor on primary votes. She held the seat with a 4.2% margin. Sutton increased her margin to 11.6% in 2008, but this was cut to 6% in 2012. Sutton served as leader of the opposition on the council from 2008 to 2012. Morningside should be safely retained by Labor. 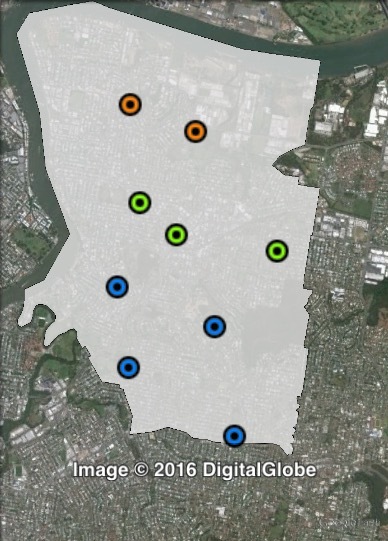 Polling places in Morningside at the 2012 Brisbane City Council election. Central in green, North in orange, South in blue. Click to enlarge. Booths in Morningside have been split into three parts: central, north and south. The ALP’s vote was strongest in the centre – with 60.5% of the council 2PP and 43.6% of the mayoral 2PP. The LNP’s vote was higher in the north and south, with around 45-46% of the council 2PP and 63-64% of the mayoral 2PP. 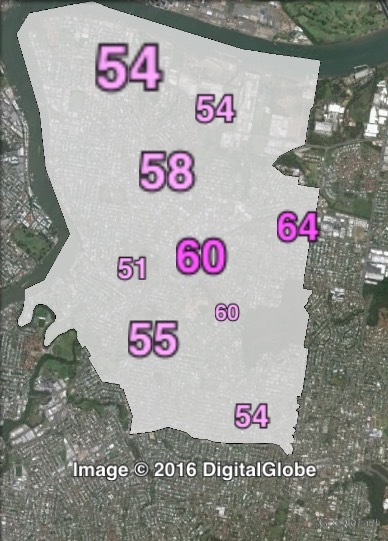 Two-party-preferred votes for mayor in Morningside at the 2012 Brisbane City Council election. 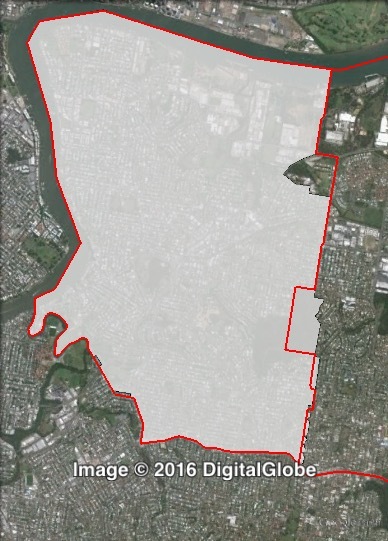 Two-party-preferred votes for councillor in Morningside at the 2012 Brisbane City Council election. 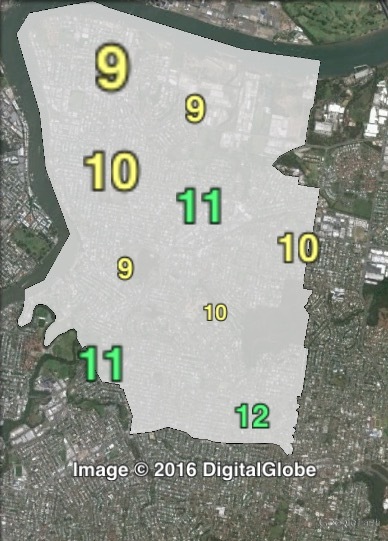 Greens primary votes for mayor in Morningside at the 2012 Brisbane City Council election.